Our latest completed website redesign is for A. Pickett Construction. Established in 1985, A. Pickett has earned a reputation for quality craftsmanship and superior work over the last 31 years. 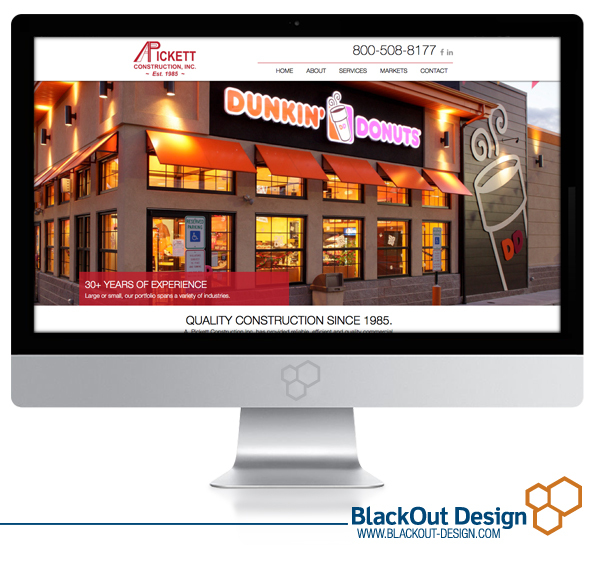 With services ranging from construction management, design assistance, general construction, facilities maintenance to safety, A. Pickett needed a site that showcased their wide range of services with a design that mirrors their quality work. Our designer and developer worked together to create a site that you can view and navigate seamlessly from any device. The end result uses pops of color and pictures of recent projects to showcase the quality craftsmanship at A. Pickett.